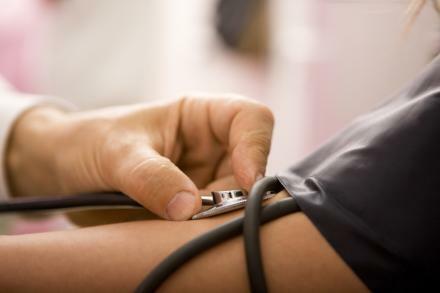 Are you unable to control your high blood pressure? ANN ARBOR, Mich. – The University of Michigan Cardiovascular Center will participate in a national clinical trial to treat the most challenging form of high blood pressure. “There are many good options for treating high blood pressure,” says University of Michigan interventional cardiologist and co-principal investigator Hitinder Gurm, M.D. “There are lifestyle changes people can make, and medications that can help. But for a group of patients their blood pressure remains high even after doing all the right things,” Gurm says. The SYMPLICITY HTN-3 Trial is considered a landmark study to examine the investigational SYMPLICITY renal denervation system for treatment-resistant hypertension. Treatment-resistant hypertension is blood pressure that remains high — greater than 140/90 mmHG — despite treatment with antihypertensive drugs. The chronic condition poses a serious health threat to millions of Americans. Uncontrolled hypertension is dangerous because it raises the risk for stroke and heart attack, as well as heart failure and kidney disease. U-M interventional radiologists and cardiologists will collaborate on the study. The U-M study team will also include interventional vascular radiologist David M. Williams, M.D., and cardiologists Daniel Stephen Menees, M.D., and James Brian Byrd, M.D. People considering participation in the trial should be diagnosed with hypertension and unable to control their blood pressure even when taking three or more blood pressure medications. Blood pressure is typically recorded as two numbers and systolic is the top number. It measures the pressure in the arteries when the heart beats. The bottom number, called diastolic, measures the pressure in the arteries between heartbeats when the heart muscle is resting. SYMPLICITY HTN-3 is a randomized, controlled trial designed to evaluate the safety and effectiveness of renal denervation in patients with treatment-resistant hypertension with systolic blood pressure greater than 160 mmHg. The renal denervation therapy being investigated is a minimally invasive, catheter-based procedure. It uses a tiny device that is threaded into the arteries to deactivate the nerves to the kidneys. The nerves are part of the sympathetic nervous system, which is one of the ways the body controls blood pressure. When overactive, these nerves can raise blood pressure and contribute to heart, kidney and blood vessel damage. The study will enroll approximately 530 treatment-resistant hypertension patients. People enrolled in the SYMPLICITY trial who receive the investigational treatment will be compared with a control group that does not, with all patients continuing to take their blood pressure medications. Patients will be randomly assigned to a treatment group or control group. “This study has a unique design since patients in the control group may have the option to receive renal denervation treatment six months following randomization, which may help extend the potential benefit of renal denervation to all participants if the trial demonstrates the procedure is effective,” Wlliams says. The SYMPLICITY HTN-3 renal denervation system has been commercially available in Europe and Australia since April 2010. The SYMPLICITY system is not approved by the U.S. Food and Drug Administration for commercial distribution and is only available to U.S. patients through clinical trial. For more information about the SYMPLICITY HTN-3 trial, go to UMClinicalstudies.com, Renal Denervation in Patients with Uncontrolled Hypertension (HUM00057579), or call (734) 232-4277.